The Ebola crisis in parts of West Africa is having far-reaching impacts on many areas of life, including the price and availability of food. 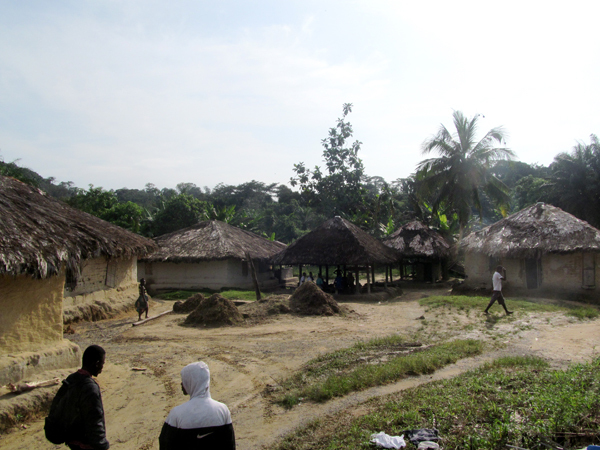 Samwar Fallah reports from the quarantined town of Gozohn on Liberia’s central coast. This piece is part of a reporting partnership between ONE and Ebola Deeply. When Liberia’s president, Ellen Johnson Sirleaf, announced earlier this month that the country had made progress in the fight against Ebola, the residents of Gozohn didn’t feel like celebrating. 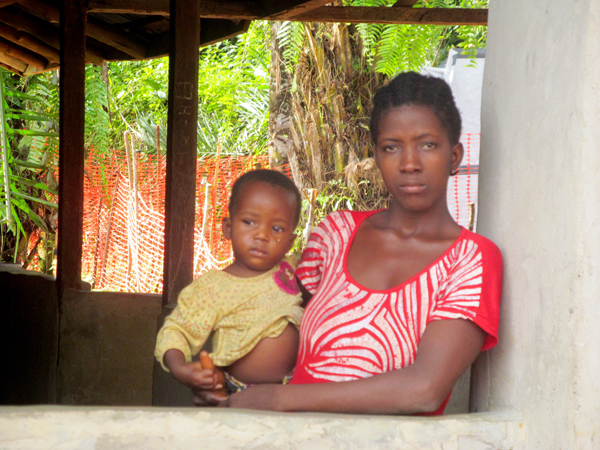 This remote town in Liberia’s coastal River Cess county has lost 13 people to Ebola. Even before the virus emerged here, the town was largely cut off from Liberia’s urban hotspots, accessible only by motorbike along dirt roads that flood during the long rainy season. Now the entire town has been quarantined, and residents are struggling to access food and supplies. Yanjay Garjay, who lives in the village with her baby, normally works on her family’s farm, but because of the quarantine she hasn’t been able to leave the village to sell produce. Yarpah Gowuah under quarantine in the village. Last week, the U.S. Centers for Disease Control and Prevention (CDC) said that Ebola cases have declined significantly in Liberia’s capital, Monrovia. There are now an average of 25 cases per day in the capital. In August and September, daily averages hit highs of 75 to 80. But as President Johnson Sirleaf set a new goal of no more Ebola cases by December 25, Gozohn – along with at least 10 other towns and villages in the area – emerged as a new hotspot for the virus. Take action to end the Ebola crisis. Sign the petition and tell world leaders to deliver on their Ebola promises. MSF (Doctors Without Borders) arrived in the town last week to conduct an assessment, and has built a temporary isolation unit to rehouse those quarantined in their own homes. The CDC is also assessing the situation in River Cess county. “MSF is doing well by giving treatment to the people, but one of the problems here is the lack of food for our people in the whole of Kinkayah chiefdom, especially in Gozohn,” Augustus T. Yarpah, the speaker of the Traditional Council of River Cess county, said. “Since the outbreak on October 21, people have abandoned their farms; the whole chiefdom is being quarantined and there’s no food for them. When the World Food Programme (WFP) and the CDC landed their helicopter in the town a few days ago, residents were relieved. But then they found out there was no food on board,” he added. A partial view of Gozohn. Roads to the area are deplorable and have not been rehabilitated for years. The shortest route – crossing the Timbo River by canoe – has been blocked because of the quarantine. This means travellers have to either walk for over eight hours, take a two-hour motorbike ride or hitch a ride by car to the nearest market in Gbolowhea’s Town. Even if residents could make it there, they might find the market closed. Farming, the area’s main source of livelihood, has come to a halt as a result of the quarantine, and many smaller markets have been closed for weeks. “People are not cutting trees, and even the few goods that are sold in Gozohn are now very expensive,” Yarpah said. Food prices have been increasing steadily since the quarantine was enforced. The World Bank says the price of imported rice in Liberia rose by nearly 40% in October; rural areas are the hardest hit by price hikes. Estifanos Debasu, who is leading the MSF team in Gozohn, said that access to nutrition is a growing concern. But food security is not part of their mandate; the team is currently focusing on tracing and treating suspected Ebola cases. A family of three is currently under quarantine at the makeshift transit centre on the edge of the town. They are awaiting transfer to Monrovia, where they will be treated at one of MSF’s Ebola treatment units. A nearby village, Dugbor, lost almost an entire family of ten to the virus. Although awareness-raising has helped to curb the spread of the disease in Monrovia, residents of isolated areas are only just beginning to confront myths and misconceptions about the nature of the virus. Moses Henry, a farmer who lost ten of his relatives to the virus, is volunteering with MSF. He says he needs food and financial assistance as well as counselling to deal with his loss. “I can say that we are only four persons left from our family, and we have been under quarantine for 21 days,” Henry said. “I feel very bad, very bad … I need clothes, food and financial assistance to put me back together,” he said, in tears. The outbreak has also impacted access to basic health care. Residents under quarantine are unable to travel to clinics outside of the town. MSF’s Debasu said that malaria and complications during pregnancy pose ongoing risks. Before the outbreak hit Liberia, the country of 4.2 million had only 51 doctors. Some residents say that if access to food and supplies does not improve, they will be forced to break the quarantine restrictions and leave the town, potentially becoming vectors for the transmission of the virus. There are no police officers currently in Gozohn to enforce the quarantine. Missionmar Garblah, who lives in the town with her husband and family, says residents are in desperate need of supplies. 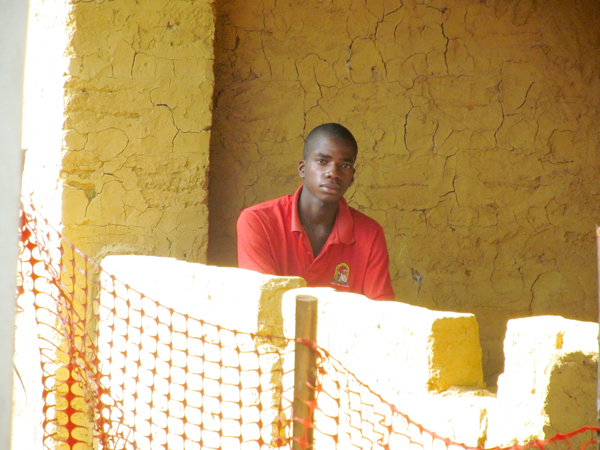 This story was commissioned as part of a reporting partnership between ONE and Ebola Deeply. We need to work together to end Ebola. Wherever you are, sign our petition calling on all world leaders to step up their support, and get it delivered faster.